Secrets of London Underground on DVD June 24. On the surface, London is a buzzing, modern metropolis - but underneath lies a hidden world, all but forgotten by the millions of people above. From ancient caves and preserved Roman remains to mysterious rivers and plague pits, Secrets of London Underground uncovers 2,000 years of subterranean history. Secrets of London Underground will be available on DVD June 24, 2014. The documentary has a run time of approximately 60 minutes and the DVD SRP is $24.99. The program will also be available for digital download. The special unearths historical locations such as the London Silver Vaults beneath Chancery Lane and Prime Minister Winston Churchill's bunkers - where he conducted his strategic plan to win the war - directly under Westminster. Also revealed, among others, are the derelict elevators and platforms of Aldwych Tube Station, which not only provided citizens shelter during the WWII Blitz but housed the British Museum's priceless treasures in secret tunnels. "As people go about their everyday lives, untold treasures of history and mystery lie hidden under the city of London," said Gareth Sacala, director at Pioneer Productions. "In never-before-seen footage, we take viewers below the surface to places that demonstrate the ingenuity and resiliency of the British throughout history." 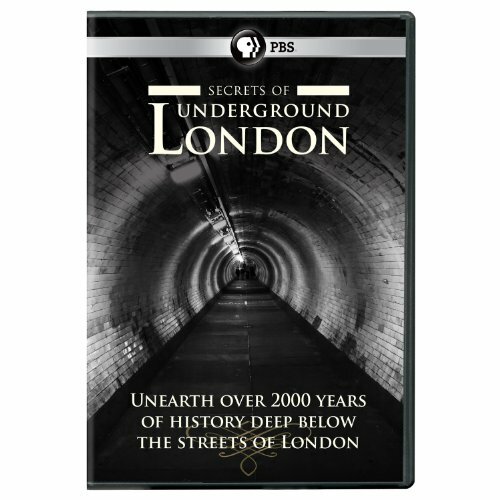 Some of the additional DVDs available from PBS Distribution that provide a behind-the-scenes look at English landmarks are "Secrets of Scotland Yard," "Secrets of Selfridges," and "Secrets of The Tower of London." Pioneer Productions, one of the UK's most successful independent production companies, has developed an outstanding reputation for producing innovative, high-quality and popular programs for both the UK and US markets. Pioneer has produced more than 700 hours of adventure, science and technology, docu-drama, lifestyle, current affairs and history programming for the US and international markets, with films screened in more than 80 countries. Critically acclaimed Pioneer productions have attracted high viewership as well as prestigious awards, including Emmys, BAFTAs, the Grand Award at the New York Television Festival, a UK Indie Award, Sony Award and Royal Television Society Award, to name a few, and Pioneer is the only independent company to win the coveted Best Science film at the Banff TV festival.